Please note that sections of the show will be coming down on February 8, 2015. Click here for a list of works on view after February 8th. 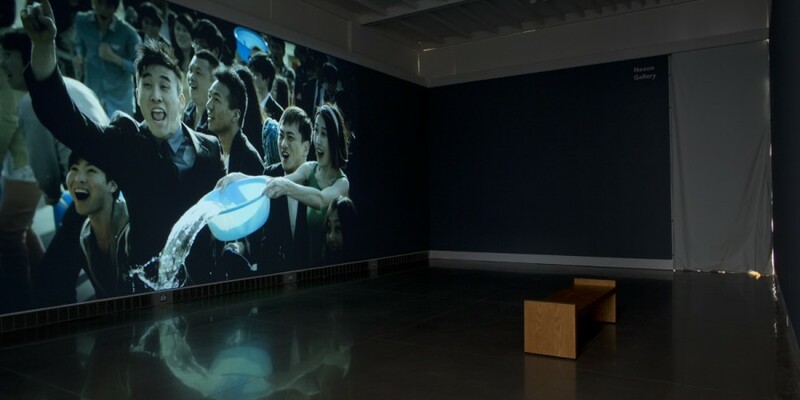 Polit-Sheer-Form-Office (PSFO) is a China-based art group established in 2005 by artists Hong Hao, Xiao Yu, Song Dong, Liu Jianhua and curator/critic Leng Lin. Born in the mid-1960s, as children they all experienced the late Cultural Revolution, a period of Communist ideological orthodoxy that powerfully affected the preceding generation. 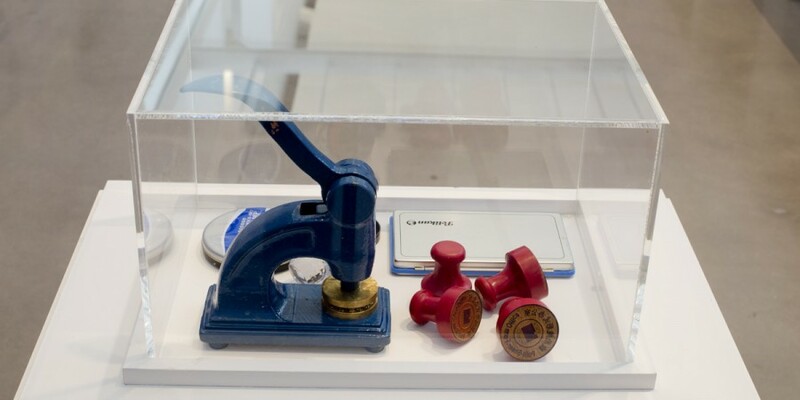 Drawing on this personal history, PSFO’s artistic practice strives to create a collective way of life while removing the political content historically associated with it. 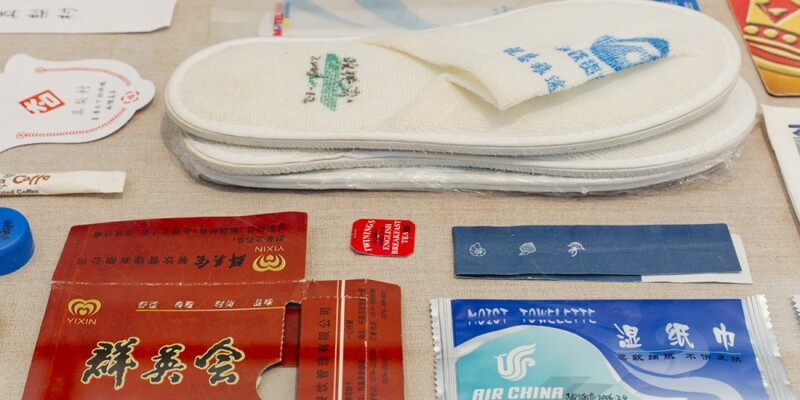 In its activities and artworks, PSFO attempts to create a framework—albeit tongue-in-cheek—for collective life in today’s consumer-oriented China. Within this framework, individuals may find the ties that bind them to others. At the same time, "sheer form” without content allows room for the individual to grow. By eating, drinking and playing together, the PSFO members revive a collective way of life associated with the Communist era of their youth, reawakening a long-lost state of being, by which they contend with contemporary China’s ideology of consumerism. But this is not nostalgia for one of the most controversial periods of Chinese history. The very emptiness of the political rhetoric of their childhood is what inspires the group’s name. Instead of political content, we have sheer, unadulterated political form—hence "Polit-Sheer-Form-Office.” The fact that the group calls itself an "Office” is another ironic reference to officialdom. Each PSFO member has a significant and successful solo artistic career, and PSFO represents an opportunity for them to experiment with another way of making art over an extended period of time. PSFO is a highly adaptable organism: when they come together, they adjust their roles, fitting into the collective through their greatest strengths to become units in a greater whole—as the propaganda of their childhood might have encouraged them to do. According to them, members enjoy absolute equality and are willing to set aside the self as the condition for fusion onto the collective. On a foundation of deep understanding and trust, the roles and responsibilities of the group’s members can change to fit the situation. The collective derives its creativity from this equality and adaptability. Polit-Sheer-Form Office, Fitness for All, 2014. Courtesy of the artists and MABSOCIETY. Photo by Hai Zhang. On view only until February 8, 2015. Polit-Sheer-Form Office, Do the same good deed (still), 2014. Video. Courtesy of Polit-Sheer-Form Office. 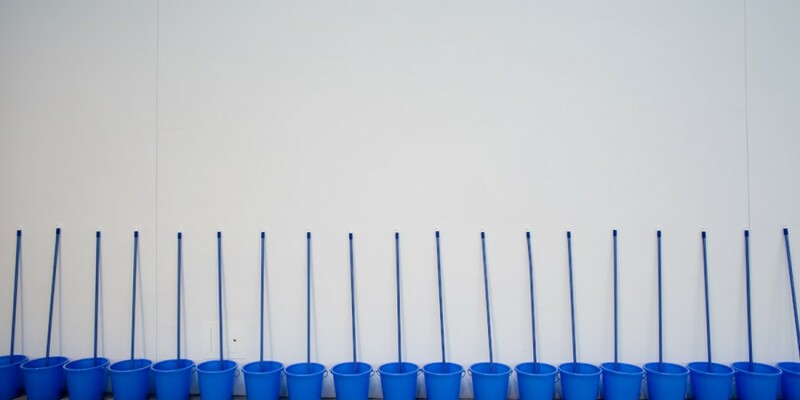 Polit-Sheer-Form Office, Do the Same Good Deed (Times Square), 2014 , Props (buckets, mops, armbands). Photo by Hai Zhang. Courtesy of the Queens Museum. On view only until February 8, 2015. Polit-Sheer-Form Office, Library, Installation, 220 x 95 x 25 cm x 25 pieces, 2015. Photo by Hai Zhang. 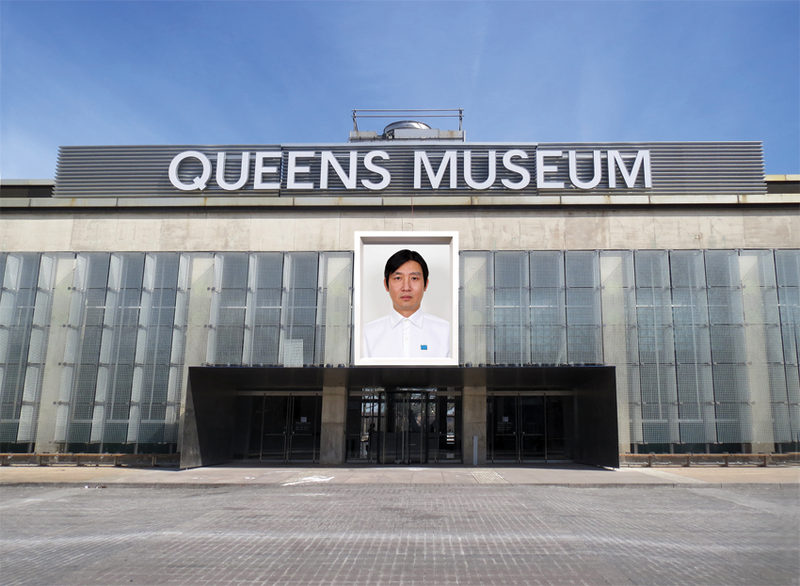 Courtesy of the Queens Museum. On view only until February 8, 2015. Mr. Zheng is a digital amalgam of the faces of the five PSFO members in the form of a generic identification photo. This artwork straightforwardly embodies the union of the group’s five members, each sacrificing his individuality to become this new single entity. As a nod to the so-called "leader portraits” of Chairman Mao that were hung over buildings in China during the Socialist era, Mr. Zheng hangs above the Museum’s west entrance. This virtual leader combines the characteristics of all five members, and is therefore not a portrait of authoritarianism, but of collectivism. In American culture, individualism is a core value, yet a new understanding of the need for the collective has emerged. Similarly, while collectivism has been a core Chinese value, there has been increasing interest in individual pursuits. Is doing a good deed human nature’s need or a need for ideology? What is the real content and meaning of collectivism? Do the Same Good Deed, a performance commissioned and presented with Times Square Arts for this exhibition on November 3, 2014, explores these issues by bringing hundreds of volunteers together in Times Square to take mops and buckets of water in hand to clean pedestrian plazas during a busy Monday lunch-hour. The project brings the type of collective busy-work and the celebration of the laborer associated with Communist China to the epicenter of consumerism and capitalism. An earlier iteration of the project was staged in Guangzhou, China in June, in which one hundred people cleaned a bus. By staging the performance in two different social contexts, China and the US, the project tests whether collectivism is a real social need or just a false form, and in fact a management tool. Polit-Sheer-Blue—which you will see on a range of works in this exhibition—is a simple, standard, unassuming blue, yet it connotes many different things. Blue represents neutrality, tranquility, heaven. It is the color of the UN and a favorite for American corporate logos. Moreover blue is the color of the sea and for modern Chinese the omnipresent concept of ‘overseas’. For a country where isolationist policies helped to shape its culture, the idea of ‘overseas’ (haiwai) has always had profound meaning. As China’s development has helped change the global dynamic the notion of ‘overseas’ has been inverted. Whereas ‘overseas’ once indicated a quest for a more progressive, advanced world, today the world has come to China. The new China’s inextricable ties with the global economy have strengthened its role in defining a global ‘contemporaneity’. So, just as Polit-Sheer-Blue connotes the idea of ‘overseas’ it also represents the notion of a sober, new Chinese Nationalism in the global context. When we read books, we gain knowledge and understanding of the world and other people. The library is a setting for allowing the thoughts of another to enter our own field of thought. In this artwork, PSFO once again extracts the content, leaving only its form. 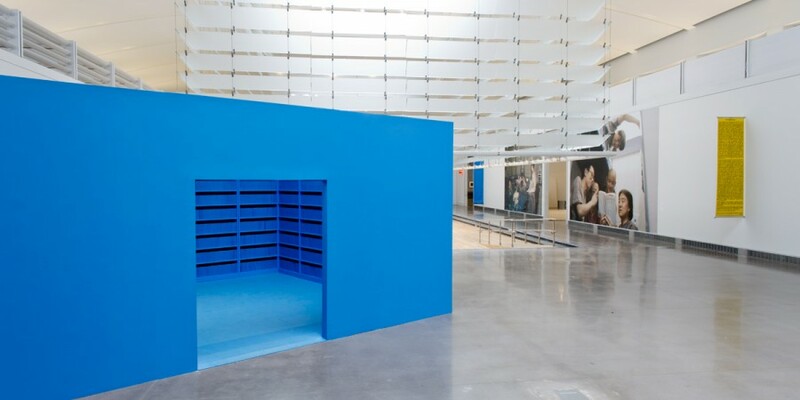 Visitors enter Library, a 20’ x 24’ x 10’ blue structure in the Museum’s atrium, primed to receive information, but find shelves stacked with identical blue books devoid of content. The absence of information gives us a space for our thoughts to roam. All of the books are the same size and color, filled with blank pages, and differing only in their serial numbers. What makes us different from others? 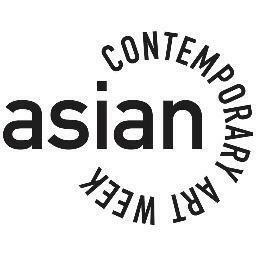 Is it culture, race, location, knowledge, a name? The blank pages also signify PSFO’s stance, having cleared out their world to admit entry to others. Reading and the search for new knowledge are traits shared by many. Library does not provide diverse knowledge, only the same book. In their spare time, people in China like to gather in parks for exercise and entertainment. Through these collective activities, strangers become friends as they exercise and play together. These collective activities usually require no organization. As long as there is equipment and space, everyone can come together. Fitness for All presents the five most common exercise machines found in China’s public parks. In the parks, this equipment is free for anyone to use. 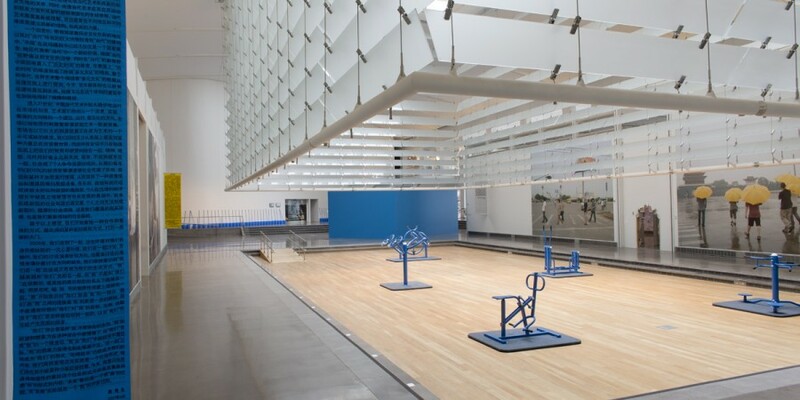 Inspired by the everyday collective life of the Chinese, PSFO has placed this equipment in the center of the Queens Museum’s atrium for visitors to use freely. It promotes exercise while encouraging visitors to meet each other through participation, sharing in the joy of being together. Oversize photographs such as Reading Book, document moments in PSFO’s collective life. Bathing together is a tradition for people who live in the north of China. Due to cold weather and lack of water, it is an opportunity for friends and family to gather once a week. Eating, visiting historical sites, reading the same book and having conversations—all these communal activities are drawn from the memories and the influences of the Cultural Revolution. By resuming these activities, PSFO transforms their daily life into art and speaks up for the value of collectivism. For PSFO, being together is a form of making art. It is also a form of being in society. Tofu Wall is fragile, just like tofu. Tofu Wall at the Queens Museum differs from previous exhibitions in that it is not displayed as a stand-alone wall, but instead connects to the exhibition space, becoming a part of the exhibition hall. During the opening of the exhibition, the five members of PSFO used axes to cut their way through this wall, into the exhibition, making a breach in their closed space to allow others to enter and understand their world. Through this act, PSFO is proactively opening up to welcome a wider array of ideas. 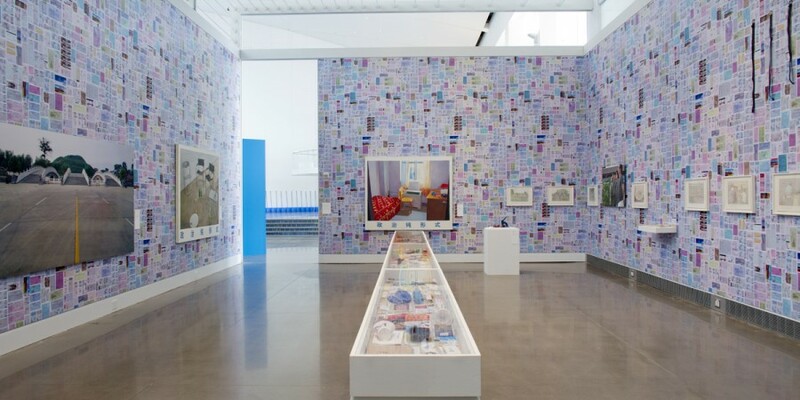 PSFO collects all the receipts and tickets produced during their collective lives and scans them make Wallpaper, installed anew each time the group has an exhibition opportunity. On the one hand, the collection of receipts shows financial transparency in the group’s daily expenses; on the other hand, it constitutes a memory of their collective lives. The Comic Book was used to deliver Communist ideas during the Socialist period in China. Comics told the stories of Communist heroes and played a major role in the early education of children, including the younger PSFO members. Again removing the political content, PSFO borrows this form to record their daily collective life of meeting, discussing, eating, drinking, traveling, bathing, reading books, and playing together. In a series of oil paintings, such as Polit-Sheer-Form-16 PSFO borrows the style of propaganda posters during the Cultural Revolution and inserts the content of their daily collective life. Propaganda posters during the Cultural Revolution were generally sunny and bright, filled with smiling people surrounding Chairman Mao, and often saturated with shades of red, an auspicious color in Chinese culture and the color of the international Communist revolution. PSFO’s paintings, on the other hand, decentralize the composition to focus on more than one person, and most of them are in PSFO blue tones depicting the fun of their collective lives. Image: Polit-Sheer-Form Office, Mr. Zheng, Color Photograph, 120 x 155.7 cm, 2007. Courtesy of MABSOCIETY.